The England Academy have confirmed their 22-man squad for the upcoming two-game series against the Australian Schoolboys. Leeds Rhinos players Callum McLelland and Muizz Mustapha have been called into the squad after impressing in Yorkshire Academy’s 30-22 loss to the tourists last week. 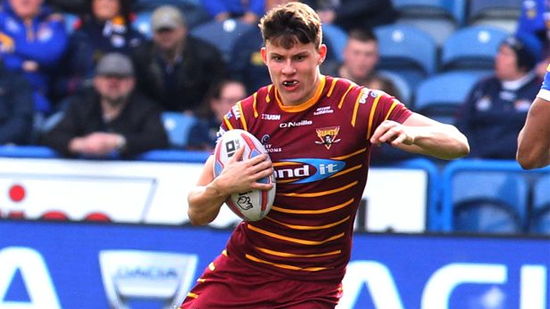 The squad features five players who played Super League in 2018, including Huddersfield’s twin wingers Innes and Louis Senior. Both brothers scored tries for the Giants in 2018, with Innes crossing four times in eight games. Another player with Super League experience is Leeds winger Harry Newman, who made his debut in 2017. In 2018, while on loan at Featherstone Rovers, he scored 17 tries in 12 games. The first game against the Australian Schoolboys takes place at Leigh Sports Village on Sunday, December 9 at 1:00am (AEDT).